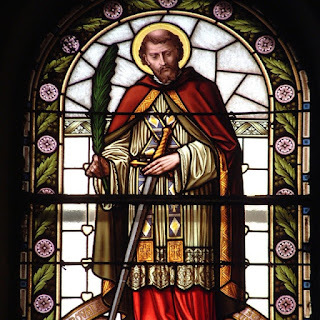 Saint Valentinus of Terni was a priest, a healer, and a hieromartyr. As a priest, Saint Valentine offered aid and succor to Christians in a time when persecution of Christians was a long-standing policy of the Roman Empire. As a healer, he restored vision to the blind daughter of Judge Asterius, who had held him under house arrest. When taken before the Prefect of Rome and Emperor Claudius II, he refused to recant his faith. He was tortured, beaten with clubs, and on 14 February 269, executed by decapitation. That day became the Feast of Saint Valentine. Today, we call it Valentine's Day. In honour of Saint Valentine, the SteemPulp community cordially invites all Steemit fiction writers to participate in our first open call: SWORDS OF SAINT VALENTINE. Give us pulpy tales of love or chivalry. Preferably love and chivalry. Give us romantic love and chivalric romance. Gallant knights and fair princesses, fantastic magic and strange technologies, gentle healers and steadfast clerics, cruel emperors and fearsome beasts, unwavering faith and unbreakable honour. 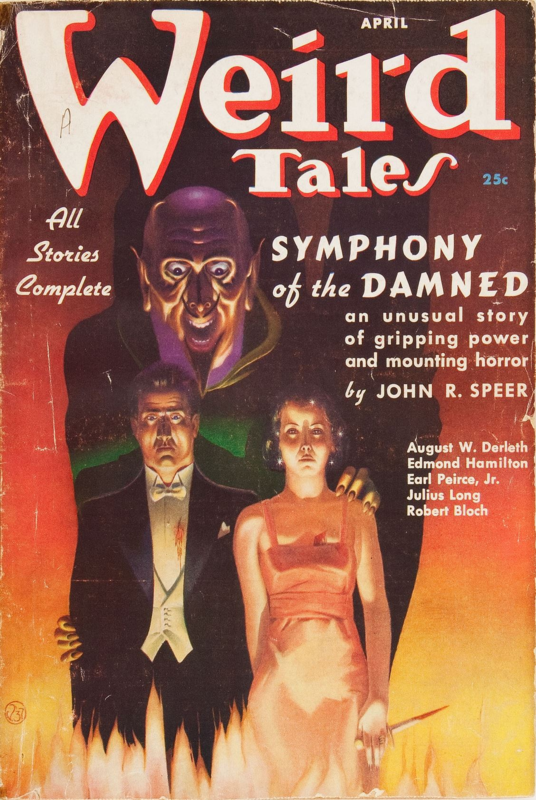 No genre restrictions but one: the story must fit the pulp aesthetic. SWORDS OF SAINT VALENTINE is a Steemit-exclusive event. It begins on 14 February at midnight in your local time zone. To participate, publish your story on 14 February and use the tags 'swordsofstvalentine' and 'steempulp'. Your story may be written as a single post or as a serial. If you choose to write a serial, post each part regularly, and complete your story by 2359 hours on 28 February in your local time zone. We have no minimum word count requirement, but a hard limit of 15,000 words. At the end of the event, we will compile the best stories for an anthology, to be published under the auspices of the PulpRev movement. There is no submissions process. We will have an invitation process. During the first fortnight of March, the SteemPulp Council will review all Steemit stories tagged 'swordsofstvalentine' and invite the authors of the best stories to participate in the anthology. We will use a two-part selection criteria: fit to theme and aesthetic, and number of upvotes. Writers who use sock puppet accounts to upvote their own stories will be automatically disqualified. Writers who pay bots for resteems and upvotes will also be disqualified. We have a zero tolerance policy against anyone trying to game the system. However, writers may use Steemit's native paid promotion function without penalty. In addition, writers who are discovered by content curators will receive extra credit. Total payouts are not part of the selection criteria: an upvote from a whale shall have the same weight as an upvote from a minnow. The current SteemPulp Council is composed of individuals committed to participating in SWORDS OF SAINT VALENTINE. They are @everhart, @noughtshayde, @t2tang, @jimfear138, @notjohndaker and @jd-alden, all of whom have pledged to publish and complete a story each during the event. Naturally, as Herald of the Pulp Revolution and Revival, and Warboss of SteemPulp, I am also part of the Council. The Chief Editor of the anthology will be Jesse Abraham Lucas, the driving force behind the PulpRev Sampler. Being part of the Council does not guarantee publication in the anthology. Even myself. The number of upvotes are permanently visible on the blockchain. While the Council will handle slush reading and selections, the Chief Editor shall make the final decision on the total number of stories to appear in the anthology, which stories to publish, and which to pass on. Anthology publication terms will be discussed with invited authors separately. But if you choose to participate in this event, you shall receive compensation primarily through payouts on Steemit. Theme: Love or chivalry, preferably both. Must fit the pulp aesthetic. Word count: Hard limit of 15,000 words. Event opening date: 14 February 2018. Publish your story, or the first part of a serialised story, on this date. Event completion date: 28 February 2018. Serialised stories must be completed by then. Selection criteria: Fit to theme and aesthetic; and number of upvotes. Disqualification criteria: Use of paid upvoting and resteem bot services, and use of sock puppets. Use of Steemit's native promotion service is allowed. Extra credit: Discovery by content creators. Good luck and PULP SPEED! Cover image credit: Saint Valentine on stained glass, royalty-free stock photo on Dreamstime. To get a taste of the kind of stories we're looking for, check out our PulpRev Sampler here.